Our park is located in beautiful North Portland, and is just minutes away from downtown and the PDX Airport. There are a ton of things to do locally in Portland and across the river in Vancouver, WA. 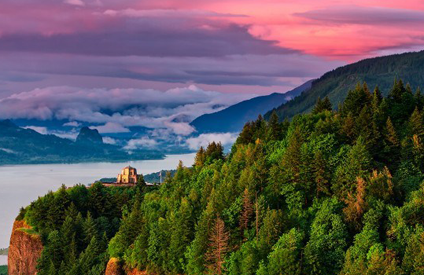 The image to the right is of the famous 'Vista House' at Crown Point in the Columbia River Gorge, about 25 minutes away. Click here for directions to this awesome photo-worthy spot!